Below is a directory of ERP vendors, tools and software solutions including a company overview, links to social media and contact information for the Top 24 Manufacturing Enterprise Resource Planning software providers. If you would like a printed version of this page including complete solutions profiles and a list of the top questions to ask in an RFP – Request for Proposal, click here for a Free PDF. abas software provides ERP software built on open standards that enable manufacturers to unlock the power of their business-critical content. Abas ERP is a complete solution that provides multiple integrated functions and a wide range of valuable solutions from APS to project management. Abas considers complex manufacturing to be their “sweet spot”, building the product around make- to-order (MTO) and engineer-to-order (ETO) manufacturing. Download this Directory and get our Free Manufacturing ERP Buyer’s Guide. abas believes passionately that people, our own and yours, are the heart and soul of business. For 35 years ABAS has consistently and steadily improved processes for our customers. We’ve worked hard to get to know the people we work with and understand their work, their needs, and their vision. Acumatica provides feature-rich cloud manufacturing ERP software. Acumatica Manufacturing Edition, formerly known as JAMS*, integrates seamlessly with Acumatica’s Distribution Management, Customer Management, Financial Management, and Project Accounting suites. Acumatica Manufacturing Edition provides real-time coordination of your business activities from one central location. Acumatica ERP delivers adaptable cloud and mobile technology with a unique all-inclusive user licensing model, enabling a complete, real time view of your business anytime, anywhere. Through our worldwide network of partners, Acumatica provides the full suite of integrated business management applications. Aptean builds and acquires solutions to support the evolving operational needs of businesses, helping nearly 5,000 organizations. Aptean’s ERP solutions include Cimnet ERP, Encomprix ERP, Ross ERP, and more, each designed to fit individual needs for manufacturing companies in a wide range of industries including ETO, MTO, ATO and more. Every business has unique processes and needs, but ultimately, every business needs technology with comprehensive business functionality that ties the entire enterprise together, connecting all the moving parts and providing better visibility into operations. Aquilon Software was founded in 2006 and since then has been developing, implementing and supporting ERP systems. Aquilon’s ERP modules for manufacturing management are ideally for small and mid-sized growing manufacturers. Manufacturing ERP from Aquilon provide a powerful solution for assemble-to-order, make-to-order, and make-to-stock manufacturing environments. BatchMaster Manufacturing is an industry specific application that runs with QuickBooks, Sage 100 & 300, Microsoft Dynamics GP, and SAP Business One financials. The company’s ERP solution is an end to end, platform for process manufacturers who require financials, sales, purchasing, supply chain, and customer service, in addition to process manufacturing. For over 25 years, BatchMaster Software has helped process manufacturers worldwide streamline their production and bring their products to market faster, while reducing costs and complying with customer, industry-specific, and federal regulatory requirements. Cetec provides an all-in-one ERP solution with everything from sales and quoting to inventory management, document management, shop floor control, quality management and financial accounting. Cetec ERP’s powerful design and modern delivery make it unique among its peers, providing your business with a platform to increase both capacity and efficiency. Cetec ERP is the standard cloud ERP software platform for small and mid-sized manufacturing companies. Cetec ERP is a new and long awaited generation of cloud ERP software, powerful, architected carefully upon decades of proven manufacturing and business practice, and affordable! Innovative ERP solutions from Epicor pave the way for today’s manufacturers of all industries to streamline business processes and break down barriers to growth, while remaining agile for rapid response to customer demands and evolving markets. Boost efficiency with real-time, actionable visibility into plant and business operations and more. Epicor ERP eliminates complexity, making ERP easier to use, more collaborative and more responsive. Genius ERP is the end-to-end manufacturing ERP software solution for planning, executing, measuring, and improving high-variable production for SMEs handling make-to-order, engineer-to-order, custom-to-order, and assemble-to-order manufacturing. Whatever your plant’s mix of project types—engineer-to-order, make-to-order, configure-to-order and mixed mode or repeat—Genius ERP comes out-of-the-box with features to move your production to the next level, in terms of both throughput and profitability per project. Global Shop Solutions offers a one-system ERP software to serve clients across manufacturing industries of all sizes. The multi-modular application comprises of independent modules for customer relationship management, inventory management, accounting, scheduling, job costing, agile project management, designing and more. Global Shop Solutions One-System ERP software system offers all the applications you need to run a leaner, more efficient manufacturing operation. From CRM, inventory management and agile project management, to job costing, scheduling, tracking and efficient quality management, every application you need is right at your fingertips. IFS Applications is a different kind of ERP. It is not complex and rigid like some other ERP suites. Rather, it is designed to rapidly adjust to changes in technology and business, maximizing enterprise agility. It has native functionality for enterprise project management (EPM), enterprise asset management (EAM) and service management. From the start, IFS recognized the need of manufacturers to operate seamlessly across multiple manufacturing modes. Manufacturing has become more complex, and today IFS Applications helps more and more manufacturers operate in any combination of: MTS, MTO, CTO, ETO and more. IQMS provides manufacturers the best choice for reliable, real-time ERP software developed especially for manufacturing processes. Whether you are a small, single plant manufacturer or a large multi-plant, global manufacturer, EnterpriseIQ ERP is the solution to fit your needs. 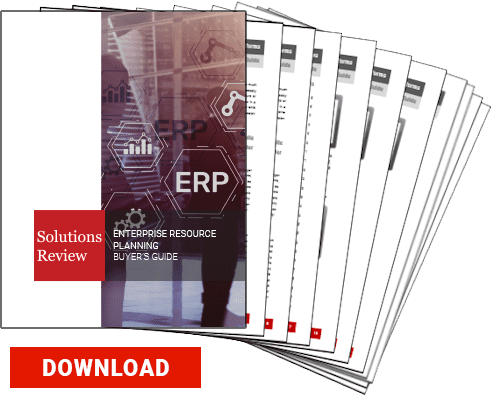 Download this Directory and get our Free ERP Buyer’s Guide. We understand manufacturing challenges and deliver quality solutions that allow our customers to run their businesses better. Structured on accountability, the IQMS system combines manufacturing software, MES software and ERP software to improve every aspect of your business. KeyedIn is an agile Cloud-based software company delivering powerful results in critical areas like project management and custom manufacturing to specialized vertical markets offered to support the needs of both small-to-medium size businesses and large multi-national corporations. KeyedIn Manufacturing is a cloud-based ERP solution specifically designed for custom, make-to-order and mixed-mode manufacturers. KeyedIn partners with make-to-order manufacturers around the country to help them achieve new levels of profitability, visibility, and growth. The company offers custom manufacturers a solution that enables efficiency, profitability, and growth through flexible ERP software, specifically designed to work the way manufacturers do business. MIE Solutions is the leading provider of production control software for the entire manufacturing sector. Incorporating Estimating, RFQ’s, Work Orders, Purchasing, MRP, Stock Control, Costing, Scheduling, Reporting, Optional Shop Floor Data Capture, Delivery Notes and Invoices with many links to external accounting packages. ERP Software like MIE Trak Pro provides you the tools to know exactly what’s happening in all your departments and if you are profitable. MIE Trak Pro is an ERP offering ideal for manufacturing businesses with modules designed to accommodate all your production cycles. The OptiProERP team brings decades of actual hands-on industry experience in manufacturing and distribution and software to the table with more than 30 years’ experience developing manufacturing software. OptiProERP is a cloud-based ERP solution for small and midsize discrete manufacturers. There’s more to your business than manufacturing and NetSuite offers a complete solution that benefits your entire organization. NetSuite’s solution supports your business, supply chain and manufacturing processes no matter where they operate. Macola Software is a provider of business solutions for small to medium-sized manufacturing and distribution companies. Macola empowers today’s modern enterprises to plan, manage, analyze and control their businesses by providing innovative software applications, industry-experienced solutions consultants, best-of-breed technology plug-ins and outstanding client support. The Plex Manufacturing Cloud ERP solution is designed for manufacturers to meet marketplace challenges and manage a successful business. Their ERP platform operationalizes procedures and creates a modern platform for the Industrial Internet of Things (IoT). Plex is designed to deliver true end-to-end visibility across your entire organization. Quality management, inventory control, and production management are built-in modules—not add-ons so users get a seamless experiences. Plex also handles your full front-office functions such as supply chain planning, human capital management, supplier management, and financials. Founded in 1986, Priority Software provides flexible, end-to-end business management solutions for organizations. Designed specifically with the small to medium-sized business in mind, Priority Software provides a complete, stable and flexible ERP solution that enables manufacturers to streamline operations and drive profit. Priority Software stands behind its product, dedicated to provide quality services and support with total commitment to excellence. Priority’s ability to constantly expand the ERP functionality without compromising the ability to provide an “out of the box” integrated ERP software solution has enabled Priority Software to target a continuously growing number of markets. ProcessPro offers a robust ERP system with full manufacturing, inventory and financial integration – a complete system from beginning sales order entry through the manufacturing and accounting process. The software solves the critical needs of batch processing, including forward and backward lot traceability and the management of complex formulas and recipes. Intelligent ERP software, designed specifically for batch process manufacturers like you, can help deliver an incredibly elegant solution that not only helps you keep up with your business information, but also allows you to get ahead of it, becoming more efficient and profitable in the process. For over thirty years, ProfitKey has helped manufacturers and job shops of all sizes and industries leverage technology to solve their most complex business challenges. Since 1979, ProfitKey has delivered quality solutions and services designed to help our customers leverage technology to optimize their business operations. Effectively manage high volume and complex inventories. 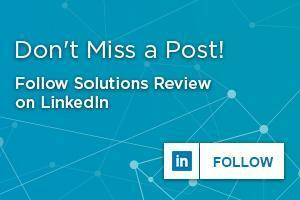 Integrate business information to make better, more informed decisions. Automate your purchasing and streamline your work processes with Profitkey Manufacturing. QAD Manufacturing ERP helps global manufacturers run simultaneous, multi-mode manufacturing and provides full shop floor control of orders across the manufacturing process. Intuitive planning tools from QAD synchronize production to changing demand, while built-in quality management helps you keep a sharp focus on excellence. QAD adapts to any style of manufacturing and to the needs of all your geographic locations. Quality metrics, central model management and automated data collection ensure accurate, complete product, material and inventory information. Rootstock Cloud ERP allows organizations to take a more customercentric and project-oriented view of operations across a robust suite of modules, including Order Management, Manufacturing, Operations, Supply Chain and Financial Management. When combined with Salesforce CRM, companies gain complete visibility to their organization and customers. Rootstock Cloud ERP provides the breadth and depth of solutions that today’s discrete manufacturers need to operate and grow their business. Rootstock Software offers a solution for all sizes and types of discrete manufacturers and supports the manufacturing system required of Build-to-Order, Build-to-Stock and even Engingeer-to-Order. SAP Business ByDesign is a cloud based, complete business suite-in-a-box ERP solution, designed specifically for mid-sized companies. This solution unifies every function across the company; HR, Financials, CRM, Supply Chain, Production, Project Management, Inventory and in-depth Analytics, in one seamless suite. As an SAP Gold Channel Partner, and as one of the top SAP partners in the world, Navigator has strategically partnered with SAP to deliver solutions, namely SAP Business One and SAP Business ByDesign, ideal for small-midsize companies. With more than 500 customers, and more than 100 years of combined experience, Navigator has a proven track record of on-time, on budget, and fixed-price implementations. The E2 Shop System is designed for job shops and make to order manufacturers, while E2 Manufacturing is designed for the highly repetitive manufacturer. The E2 Shop System is available in an on-premise model or a SaaS model, which is hosted on a cloud, instead of in the shop. Our specialization and commitment to building our business and yours with high-quality people, products, and service are testaments to our ongoing goal of strengthening our reputation as North America’s leading provider of shop management systems. TrueERP was designed to meet the needs and demands of manufacturing companies across a vast amount of industries, from agriculture and retail to automotive, engineering, food and beverage. Whether your manufacturing process is a simple assembly of components or requires the scheduling and monitoring of multiple processes and resources, TrueERP can help. Systems need to grow and change with your business and TrueERP has the flexibility to do this. If you are duplicating your effort and trying to manage information from multiple applications, you need to look no further than TrueERP for a complete solution.